I&apos;ve recently been live-coding on Twitch and the thing that I&apos;ve loved about it is all the users in the chat that are helping me out by giving me their own tips and tricks. 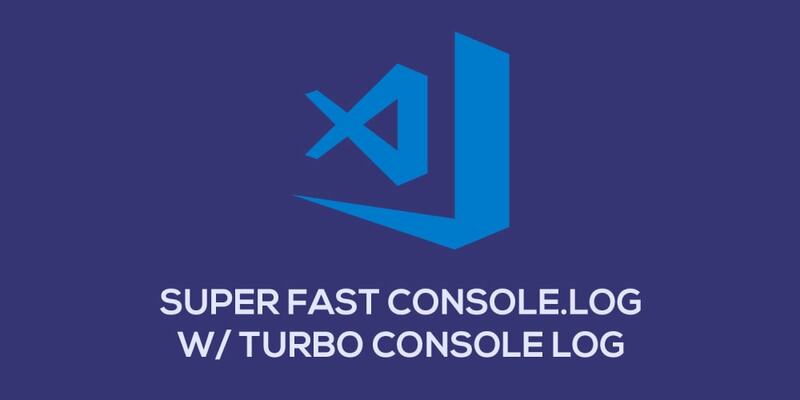 In our most recent stream, we started talking about my VS Code extensions and one that was recommended to me that I&apos;d never heard of before was Turbo Console Log. In a nutshell, it lets you take a variable and quickly write the whole console.log statement with keyboard shortcut ctrl + alt + l for Windows or cmd + opt + l for Mac. I&apos;m a sucker for any keyboard shortcut that can save me from writing some characters. Absolutely love working with Vim. If you told me of an extension or keyboard shortcut that saved me typing even 3 characters, I&apos;ll jump on it and dedicate adding that to my arsenal of keyboard shortcuts. Turbo Console Log provides another convenient shortcut to create those console.logs.